Vincent Van Gogh's paintings of irises are world renown for their composition and impressionism. 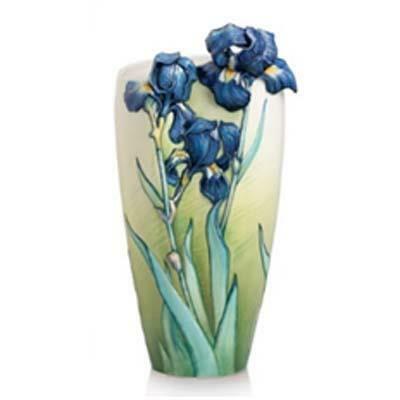 Those paintings inspired Franz Porcelain to create this beautiful handmade iris vase. The vase is substantial, measuring 9.5"L x 9.5"W x 18"H. The vase is made of fine porcelain that has been sculptured using the ancient Chinese method of undercutting. This vase is absolutely stunning.